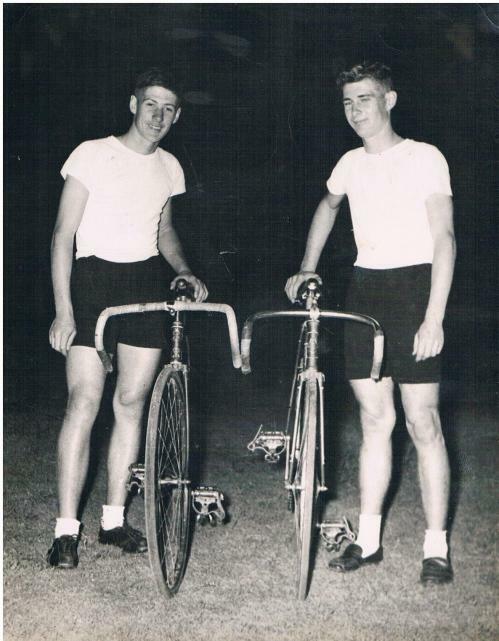 Brothers Michael and Kerry Victor discovered cycling at a young age with the encouragement of their Uncle Mick Birrer. 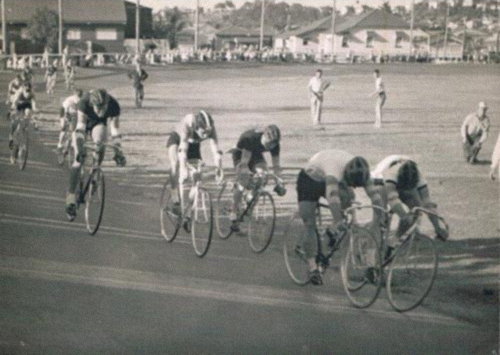 They would enjoy training around the roads in and out of Brisbane and racing for their beloved Balmoral Cycling Club on the road at weekends and at the Hawthorne Park Track at any time. They both did well racing on tracks in south Queensland. Tragically, on the 5th September 1957 whilst training on the road at Rocklea with some fellow club members, Kerry was fatally hit by an out of control car which crossed to the wrong side of the road. Michael went on to represent Queensland as a track rider on many occasions and won medals at National Championships. With 3 of his eventual 5 children born, he retired from competition and started his electrical business; however he stayed committed to the sport and has been involved at various levels as a coach, an administrator, a technical official and event manager. He is a life member of the Balmoral Cycling Club, Queensland Cyclists Association (CQ) and the Australian Cycling Federation (CA). He is a past president of Cycling Australia, and a past Vice President of the Oceania Cycling Confederation. His is a retired UCI International Commissaire and was awarded a Medal of Merit by the UCI in 2010. Currently he is the President of the Australian Commonwealth Games Association (Qld Div), a Vice President of the Australian Commonwealth Games Association and a Board Member of the 2018 Gold Coast Commonwealth Games Organising Committee. He was awarded the Order of Australia Medal by the Governor of Queensland Quentin Bryce on the 15th September, 2005, for service rendered to the sport of cycling.